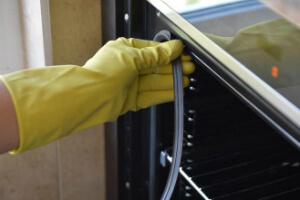 Oven Cleaning Chelsfield and Pratts Bottom BR6 - Residential & Commercial Kitchen | Quality Property Care Ltd.
For a more professional touch, with guaranteed results each time call 020 3746 4287 and let our company clean your entire kitchen. We work fast and secure, no complications or delays, contract and deposit free. Once everything has been degreased we reassemble the parts and leave them to dry. The surface of the stove is treated with a professional finish for the glass part of the oven door to stop mild scratching. You examine the finished job and determine if it’s up to your requirements. If you are not satisfied with it, the cleaners will focus on the areas which cause the problem and clean them again for free. We also offer full kitchen cleaning including all surfaces, light switches, outside and inside of appliances with deep cleaning of cupboards, fridges, sinks, freezers, hard floor. 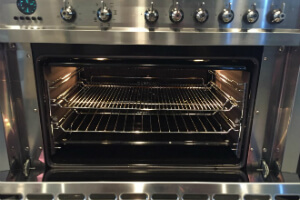 If you want to eliminated your oven's bad odour, or want to see it shiny again, our hassle-free oven cleaning service in Chelsfield and Pratts Bottom BR6 from Quality Property Care Ltd. is the best solution for you. It is finely performed by experienced, well-trained and skilled oven cleaners. They are fully vetted and insured. Even if you are not present in your home, be tranquil: your personal belongings are at safe hands. The expert oven cleaners work fast and safe and you can reschedule them for free within a decent period after your booking. We are flexible and understanding, so we guarantee to organise professional oven cleaning in the most suitable way for you! To ask about current discounts, and to book the professional oven cleaning services, you need to send and online booking form or call on 020 3746 4287. You will receive a written confirmation in your email and as a SMS. No deposit is required, and there are no hidden fees in this service. Combining several cleaning services will earn you very attractive discounts.